Nobody likes dealing with oral pain and some of the worst of it can come from sore and infected gums. In some cases, swollen gum pain caused by gingivitis or an abscess can worse than having a toothache! The good news is periodontal disease—a tooth abscess to you and I—can be treated to relieve pain and swelling and deal with a gum infection at home, so you don’t need to run to the dentist every time you’re suffering. Certain treatments like clove oil, which is a well-known natural remedy, can help stave off dental abscesses, gingivitis, and even sinus infections and bad breath. 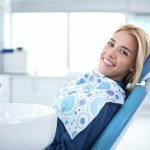 It’s important to realize, though, that even if you choose to treat a periodontal infection at home because of the discomfort you’re experiencing, you need to see a dentist eventually as it could lead to more serious abscesses and tooth decay. 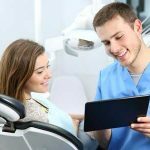 It might even be necessary to work with a periodontist to deal with your gum problems. Gum disease can lead to a number of other oral health problems and the worst thing you can do is ignore the problem and just use pain relief to make your way through each bout of infection. Eventually, you’ll need to deal with the cause of the problem. 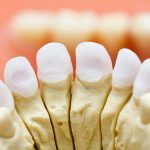 What are the symptoms of a gum infection? You have control over the health of your gums. Gum disease and infections are triggered by bacterial plaque that accumulates near the gum line. It’s the same bacteria and plaque that can be brushed and flossed away with regular dental care. If you aren’t already, make sure you are brushing at least two to three times per day, and flossing at least once per day. If you have a problem with excess plaque and bacteria, you can speak to your dentist about special antibacterial rinses or incorporate a salt water rinse into your oral hygiene routine. You might not consider a gum infection that serious (especially if the pain isn’t that bad), but the truth is it can become serious. The infection can enter your bloodstream and cause infections elsewhere in your body. Poor gum health also puts you at greater risk for diseases related to your kidneys or diabetes. So, what can you do to improve your gum health at home and deal with ongoing gum problems? There are plenty of natural at-home remedies that make it easy to promote good gum health. One of the easiest and most effective ways to deal with a gum infection is a salt water rinse. 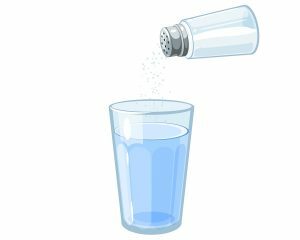 Salt acts as a natural disinfectant and reduces swelling of the gums. All you need to do is dissolve two teaspoons of salt in a cup of warm water and rinse your mouth, as you would with mouthwash. You can do this as many times a day as you choose. Even if you’re not dealing with an infection yet, this is a great way to reduce any risk. 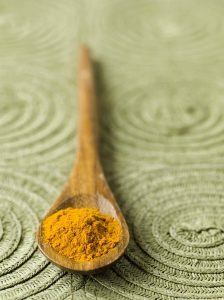 Turmeric is well-known for its health properties and dental health is no exception. It’s an antioxidant and has both anti-inflammatory and antibacterial properties. This means it not only reduces your risk for gum infections, it’ll help treat them and reduce the pain and swelling that come with them. You can make a paste with turmeric at home by mixing a teaspoon of turmeric powder with salt and mustard oil or vitamin E oil to your desired thickness. If you don’t want to dip a toothbrush in the paste you can just use your finger to rub the paste on your teeth and gums. Do this two times per day to treat plaque and gum disease. If you prefer, you can make a mouth rinse out of turmeric, the same way you did with the salt water. 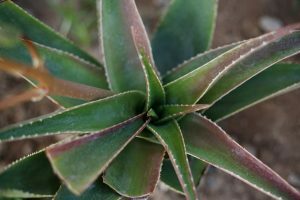 Aloe Vera is another option for dealing with gum infections at home. It’s a great remedy because it offers so much soothing relief. You can rinse with Aloe Vera juice (diluted with water if you prefer) and enjoy the reduction of bleeding and plaque buildup while also easing the pain you feel when your gums are infected. It’s also helpful to apply a bit of Aloe Vera gel directly to the affected area when you are experiencing extreme pain from a gum infection. 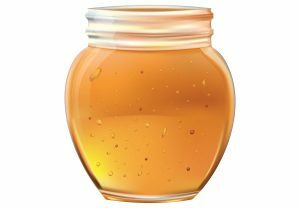 Honey offers both antibacterial and anti-inflammatory properties, so you’ll reduce the effects of infection and reduce swelling at the same time. Make sure you use raw honey and apply it directly to the affected area. There is also evidence that raw honey helps cut down on the bleeding you experience when your gums aren’t healthy. Another great option for dealing with gum infections and keeping your mouth as healthy as possible is a process called oil pulling. It’s an age-old Ayurvedic medicine technique that helps your mouth stay clean and free of plaque. Those who practice oil pulling swear it’s the key to their dental health and that it also helps brighten their teeth and reduce gum bleeding. 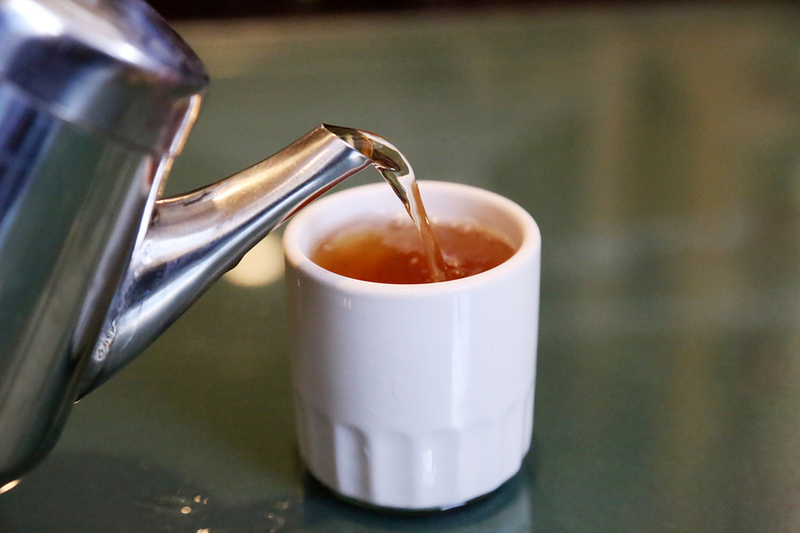 Sometimes, dealing with a gum infection is as simple as sipping a warm tea. Just make sure you choose the right kind and don’t add sugar or milk! The best teas for treating a gum infection at home include chamomile, ginger, and cinnamon. You can also mix these together to make a tasty remedy that reduces bacteria in the mouth and soothes the inflammation that comes with an infection. If you prefer, you can use the tea as a rinse, but it works just as well if you drink it. Not to mention you’ll enjoy additional health benefits by drinking the tea. Just make sure you swish it around your teeth and gums before swallowing. 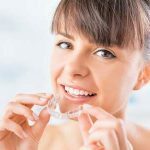 There are plenty of ways to treat a gum infection at home and many of these provide pain relief and can even cure the infection. But, ultimately, it’s important to speak to your dentist about any gum pain you are experiencing to make sure you aren’t dealing with a more serious problem.